VIJAYAWADA: Employees’ Union (EU) delegates met Chief Minister N Chandrababu Naidu on Friday and recommended taking immediate steps to address the demands of Andhra Pradesh State Road Transport Corporation (APSRTC) employees. A total list of 18 demands were submitted to the Chief Minister. 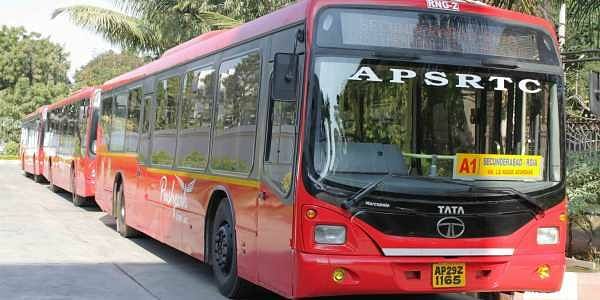 The union appealed to the State government to fulfill the demands of APSRTC employees, including raising retirement age to 60 years, paying the salaries due since April 2017, granting jobs based on educational qualification to the kin of deceased employees, annual allotment of Rs 15,000 crore from the budget to APSRTC, converting the job status of 1,500 workers from contract to permanent basis, not transferring the workshop for Ghat Road maintenance from Tirupati to Nellore and allowing APSRTC to manufacture tyres. A total of 18 demands were submitted to the Chief Minister. The union appealed to the State government to fulfill the demands of APSRTC employees.